Ettore is Ettore de Conciliis, Italian landscape painter extraordinaire. This is a copy of his Light in August, in homage. 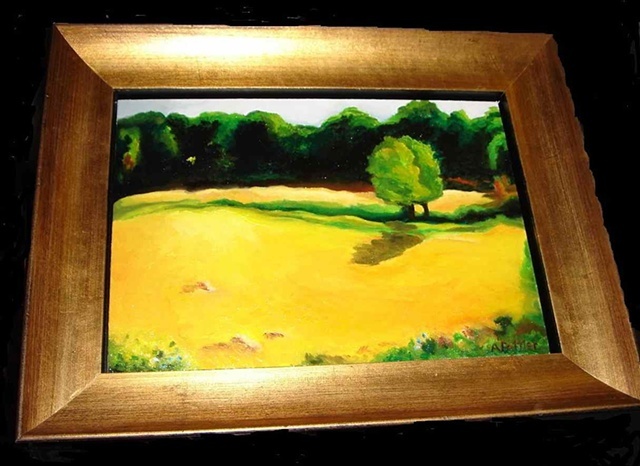 Did this one in 2000, all but the dot of yellow in the trees. Added it in 2006. Now in a private collection in New England.